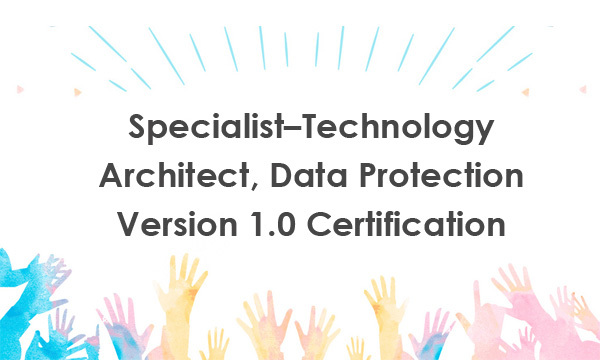 Specialist–Technology Architect, Data Protection Version 1.0 certification is easy for you to earn now. This certification validates the Specialist level skills necessary to recommend and design data protection solutions using the latest Dell EMC Data Protection products and become a trusted advisor to customers. To earn this certification, you need to complete the following two steps. Learning Dell EMC DES-3611 exam information and topics are helpful for you to prepare the test. There are 65 questions in real DES-3611 Specialist–Technology Architect, Data Protection Exam, and you have 120 minutes to complete the test. The required passing score of DELL EMC DES-3611 exam is 60. Dell EMC DES-3611 exam topics cover the following sections: Dell EMC Data Protection Product Features, Functions, Software-based Architectures and/or Components, Dell EMC Data Domain Solutions Design, Dell EMC NetWorker Solutions Design, Dell EMC Avamar Solutions Design, Dell EMC RecoverPoint and RecoverPoint for Virtual Machines (VMs) Solutions Design, Dell EMC Cloud Data Protection Solutions Design, Dell EMC Integrated Data Protection Appliances (IDPA) Solutions Design, Dell EMC Data Protection Suite for Applications (DPS) Solutions Design and Solutions Design using Dell EMC Isolated Recovery Solutions Design. We have cracked the latest DELL EMC DES-3611 exam dumps questions, which are helpful for you to clear DES-3611 exam and earn Specialist–Technology Architect, Data Protection Version 1.0 certification.